Blackburn with Darwen Youth Awareness Project (YAP) is run by dedicated young volunteers aged 16 to 25. The project raises awareness of children and young people, especially within BME and South Asian Heritage communities, including young people of Asylum and Refugee communities, living within Blackburn and Darwen. 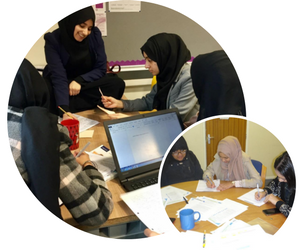 The group had received funding from the B&M Communities Together Fund to recruit 5 volunteers’ aged 18-24 years old from South Asian background to become Community Navigators to mentor 30-56 aged group South Asian women from India, Pakistan & Bangladesh to improve their quality of life. TramShed is a charitable organisation offering Inclusive Performing Arts workshops, training and performances to a variety of users. This is irrespective of their health, social diversity, ethnic background or ability. TramShed particularly focus workshops and training to those living with an additional need including physical disabilities, learning disabilities, visual impairments, hearing impairments, behavioral needs and social/emotional needs. In 2016, TramShed were awarded funding from the WO Street Transformation Fund to their new project “Change Makers”. The project saw the Arts Practitioner Team and volunteer team deliver focused and specialised workshops to children, young people and adults from Blackpool and surrounding areas, with a main focus being on individuals who fall into TramShed's targeted minority groups. 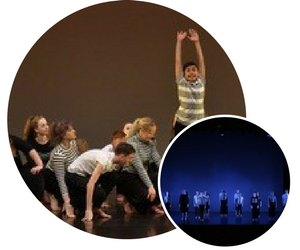 In September 2016 Preston Youth Dance Company, led and managed by Blue Moose Dance Company, embarked on a project, funded by Comic Relief through the Community Foundation for Lancashire, which aimed to explore the negative impact of body image in the media on young people. 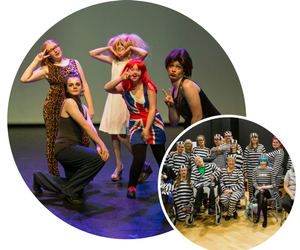 Over several months the company, aged 11 -19 years, developed a performance piece, raising awareness of body image and highlighting some of the issues that they had come across. The company toured the performance to three secondary schools in Lancashire, delivering a practical workshop alongside their performance to allow other young people to consider the issue and develop their view on the matter.